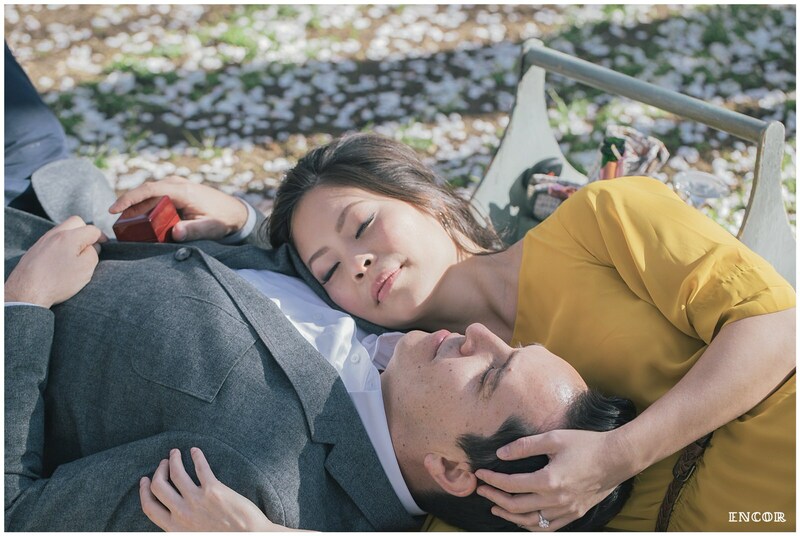 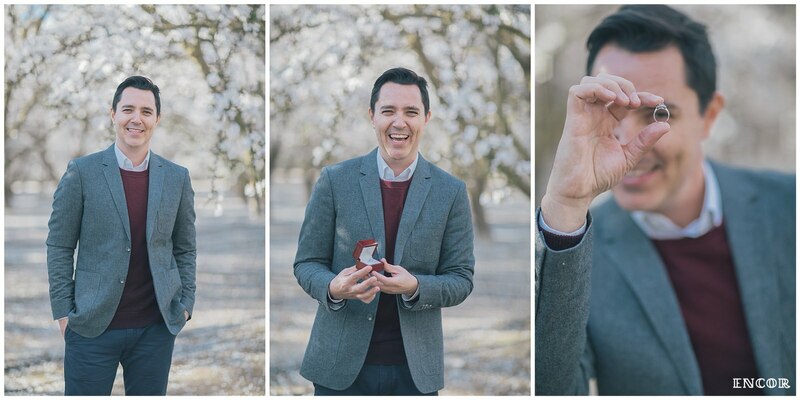 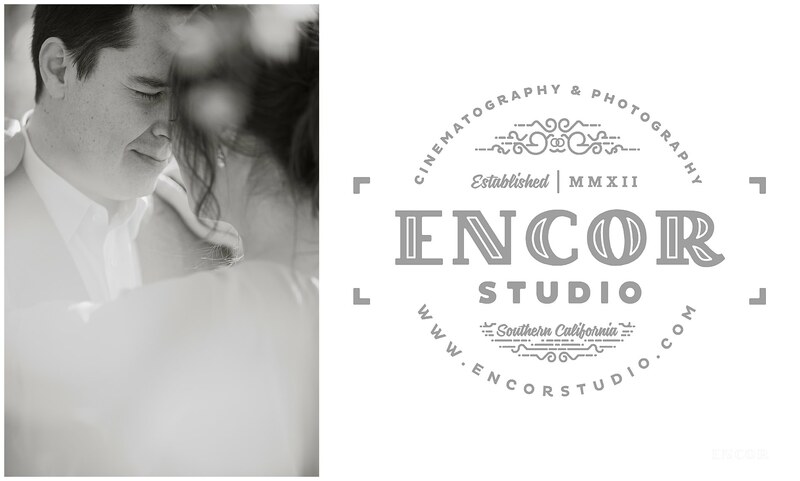 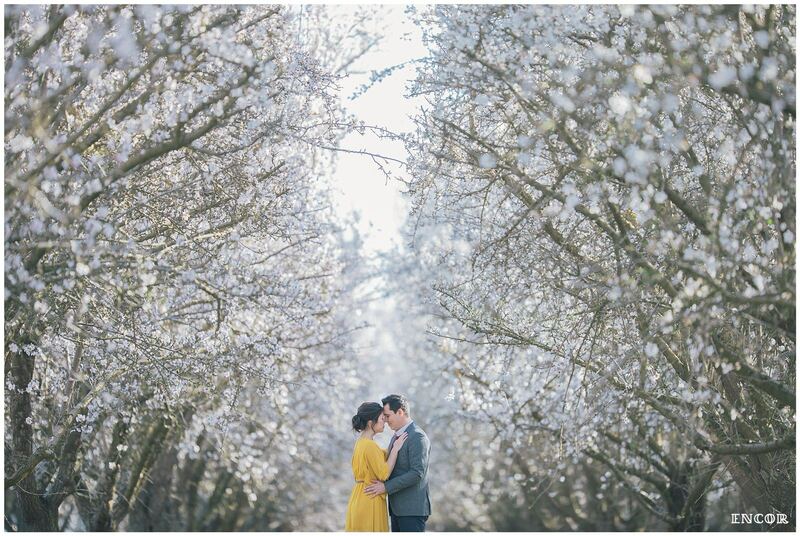 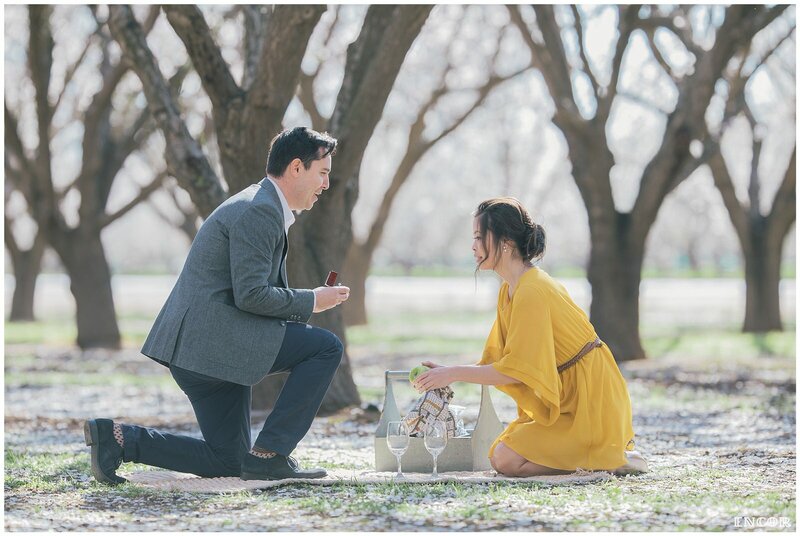 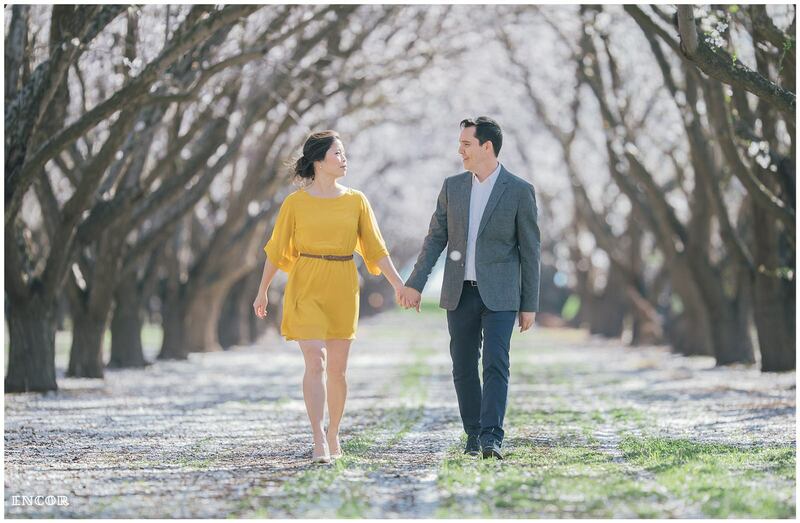 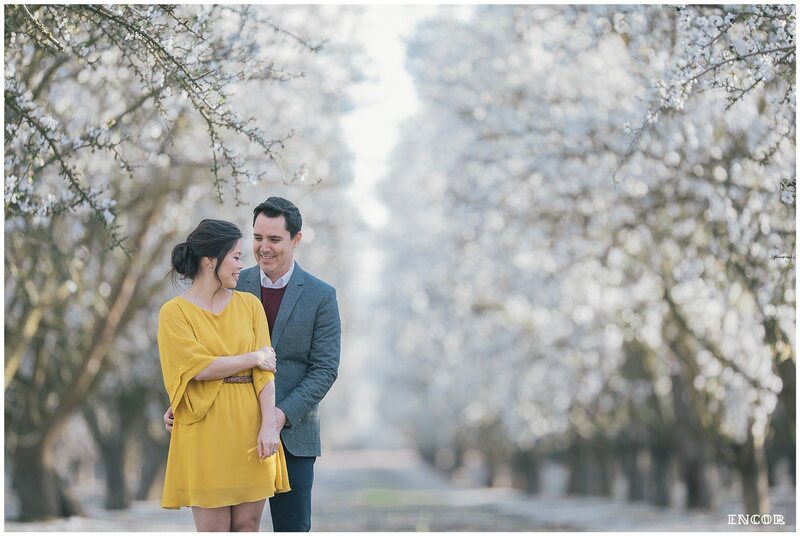 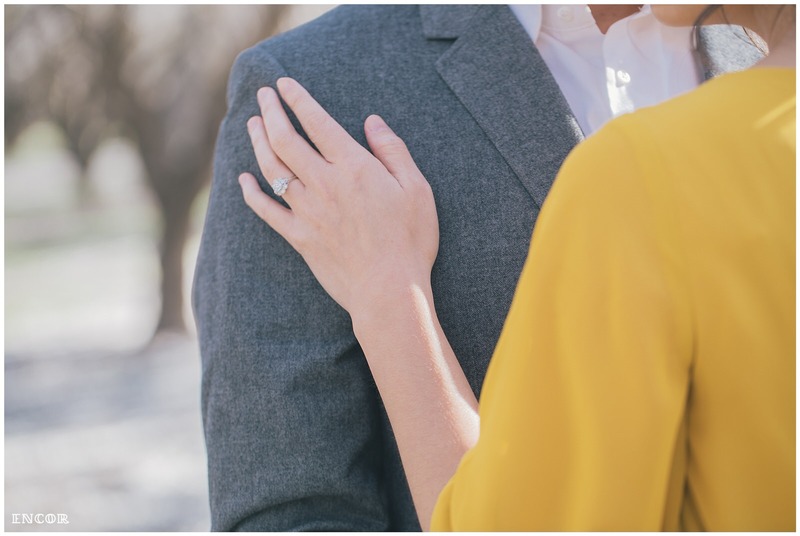 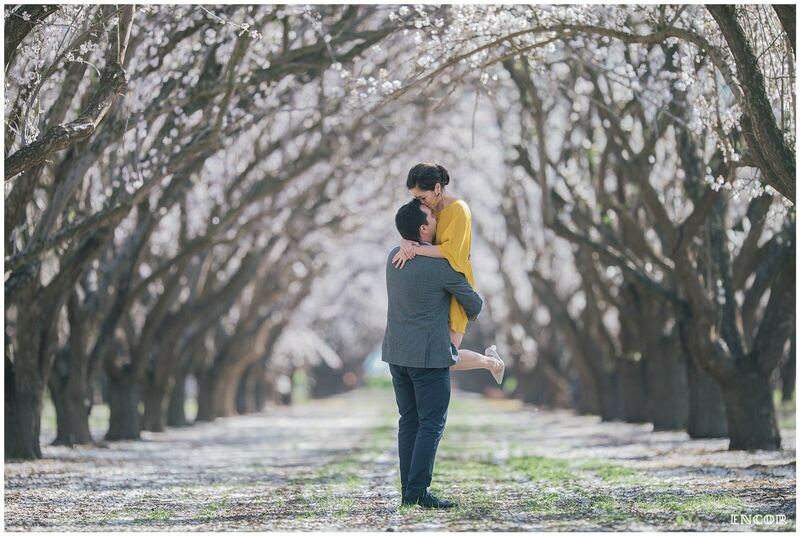 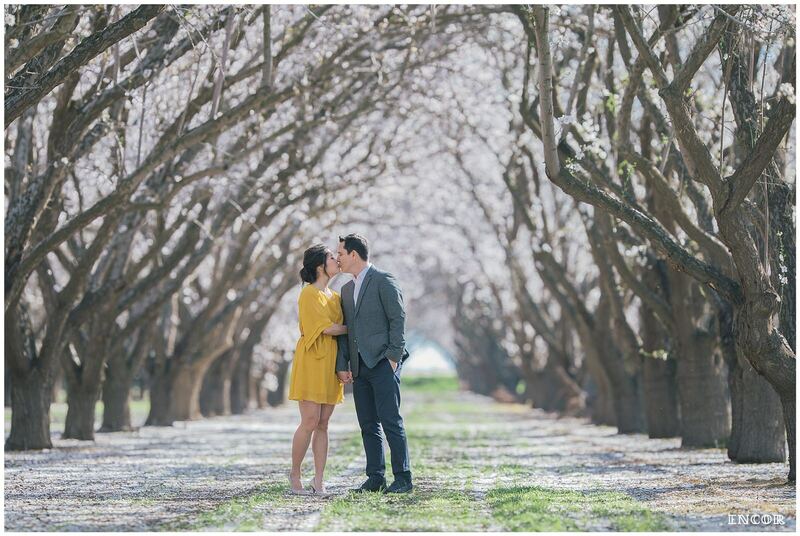 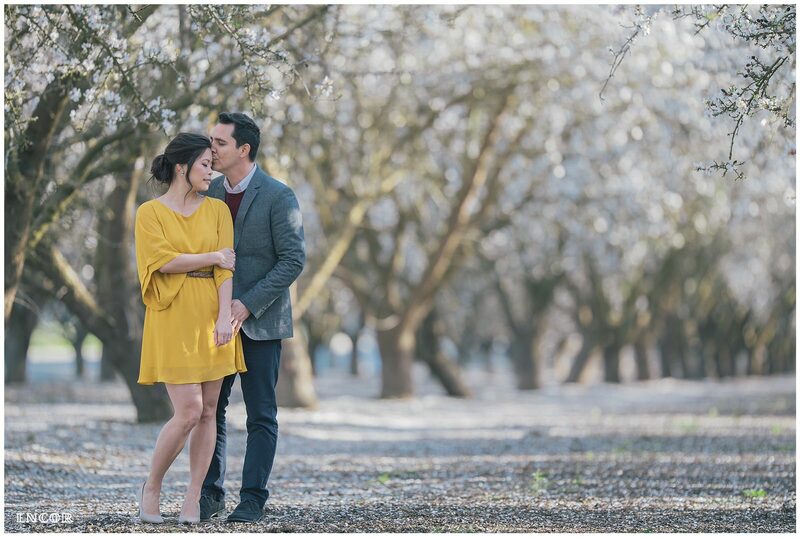 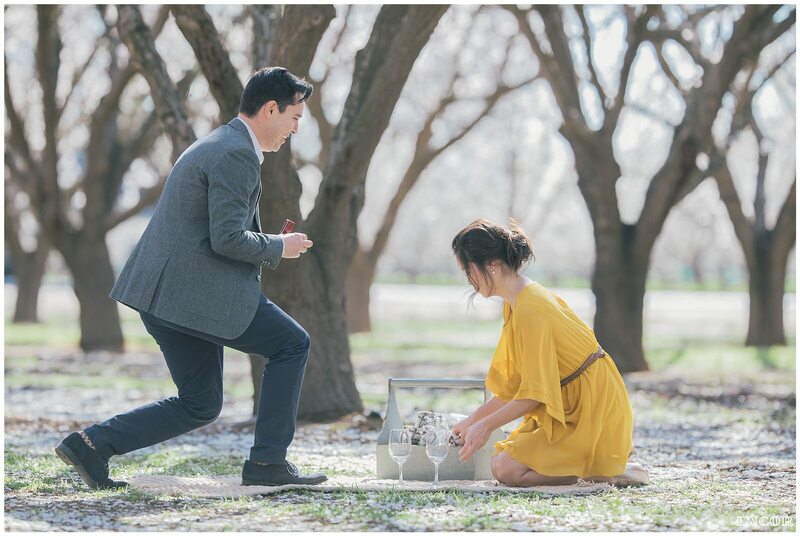 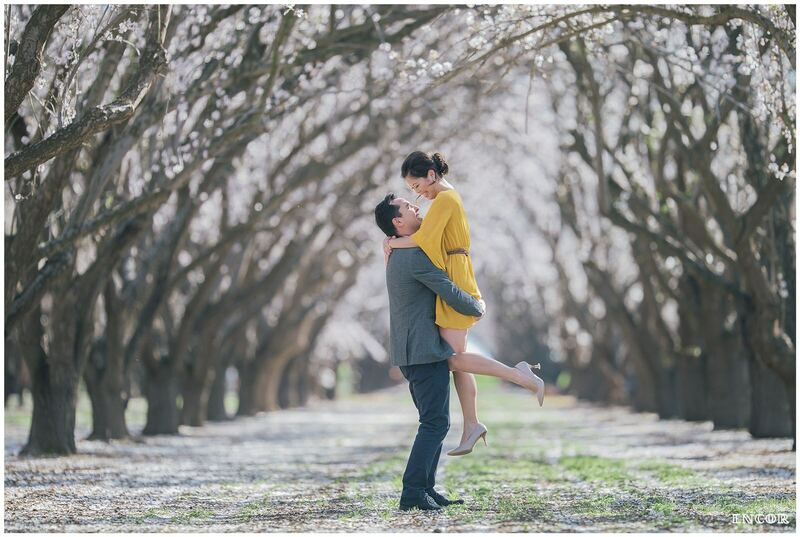 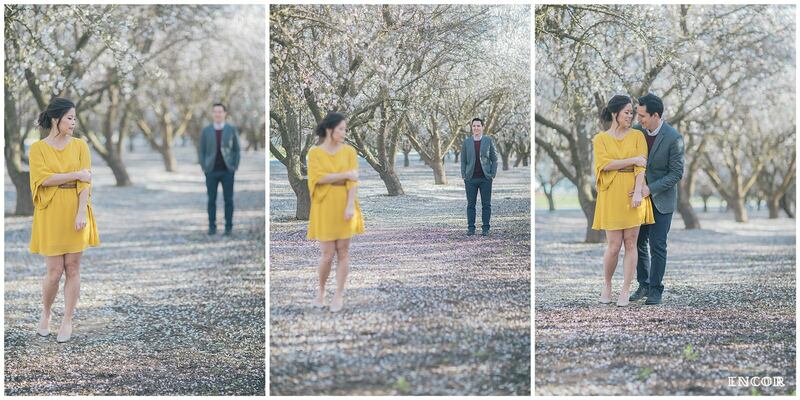 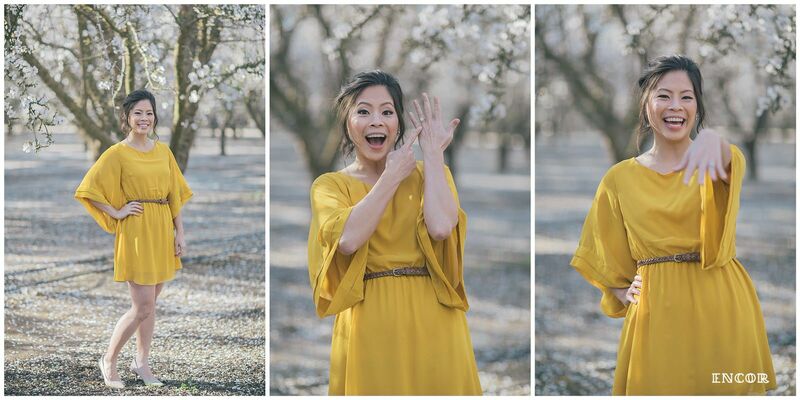 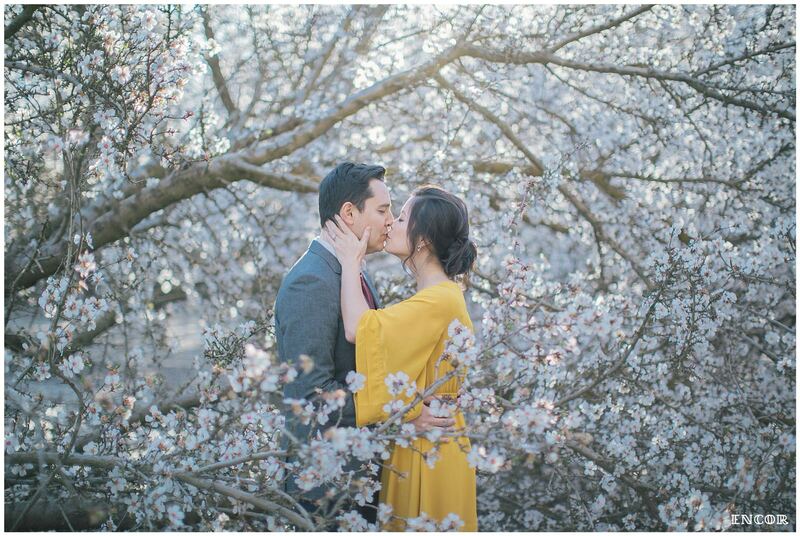 Through these photos, you’ll witness a true love story that unfolded when Armando got down on his knees and surprised Susan with a sparkly engagement ring during their photo shoot between the blooming almond trees. 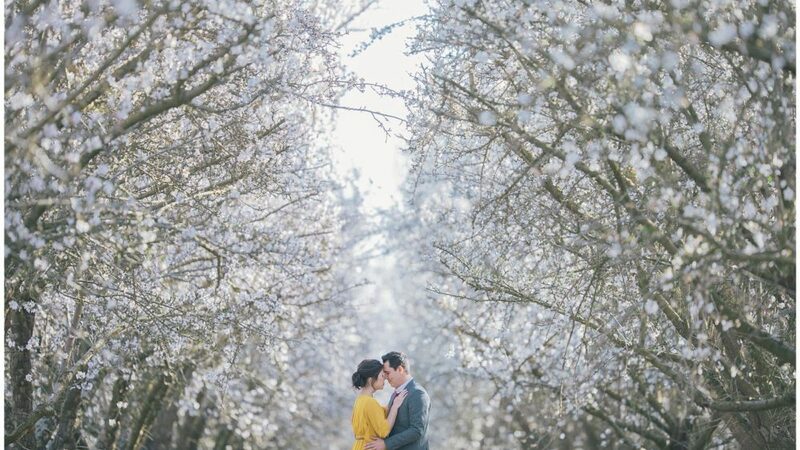 Not even for second did Susan think that this beautiful day with an awe inspiring scene was about to be one of the most magical & sweet moments of their lives. 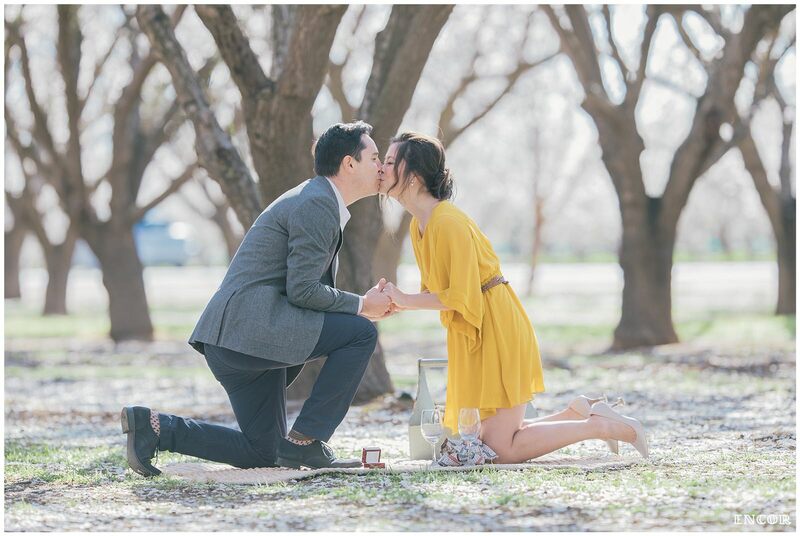 When it came to setting their picnic scene, Armando got down on one knee and popped the question, “Will you marry me?” Susan was so taken aback, her eyes lid up and jaws dropped. 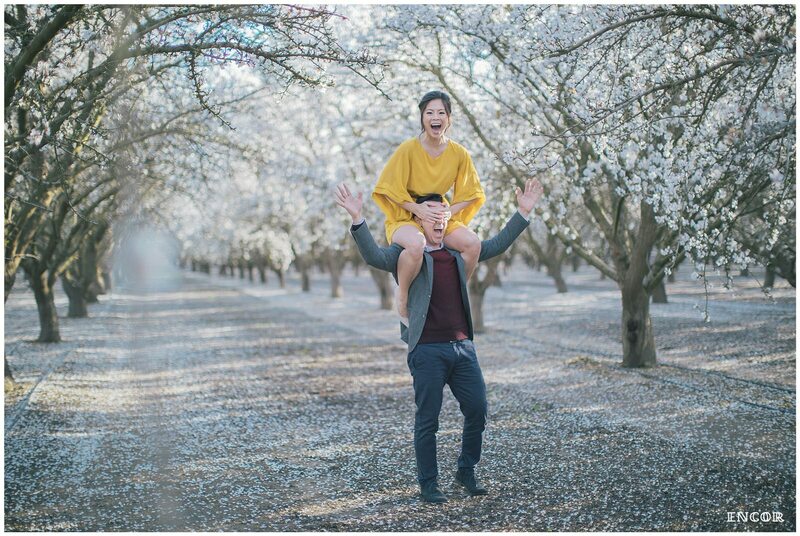 At this moment, all we did was snap, snap, snap…the moment when Susan & Armando experience pure joy from head to toe. 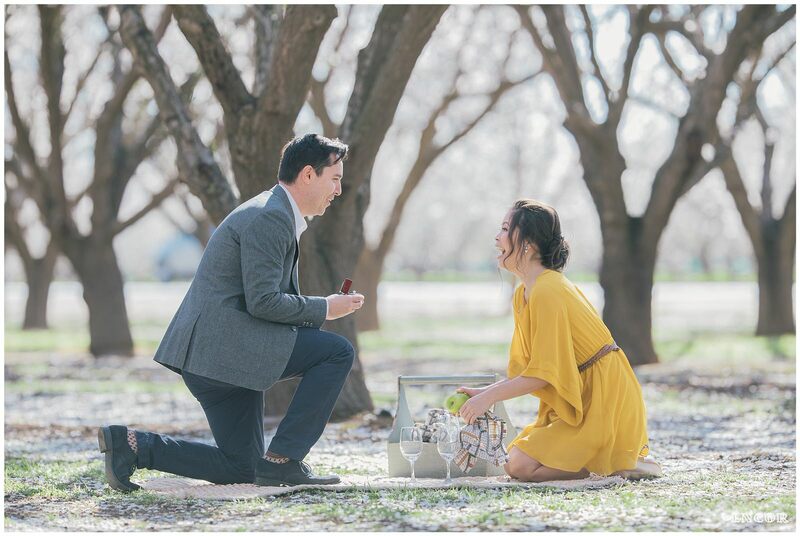 We couldn’t be any happier for our clients and we look forward to their wedding coming this Fall!